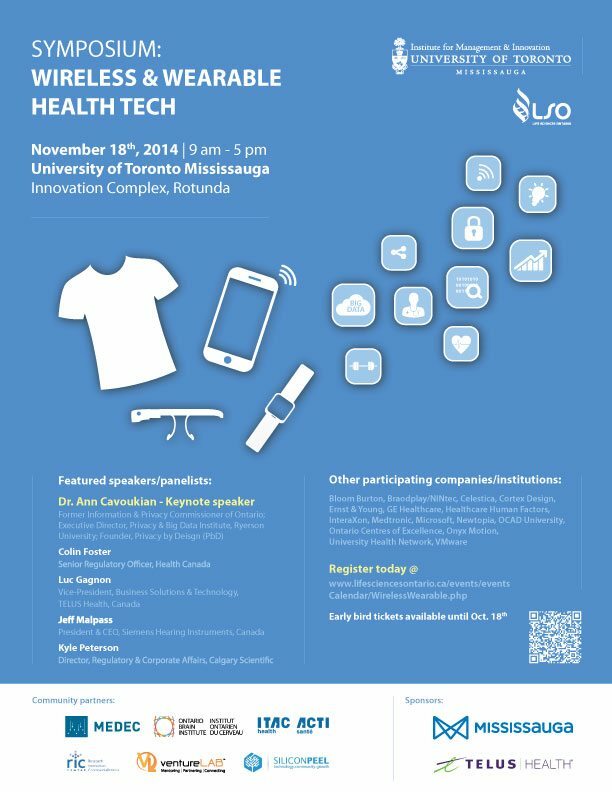 This is a symposia focused on wearable or wireless technology in a health (e.g. fitness) or medical context. The full ecosystem of stakeholders will be presenting at this symposia including: start-up companies, money managers, regulatory experts, developers, large firms / telecoms, and physicians. This event is held by the Institute for Management & Innovation at the University of Toronto Mississauga with community partners Life Sciences Ontario and RIC (Research Innovation & Commercialization Centre).